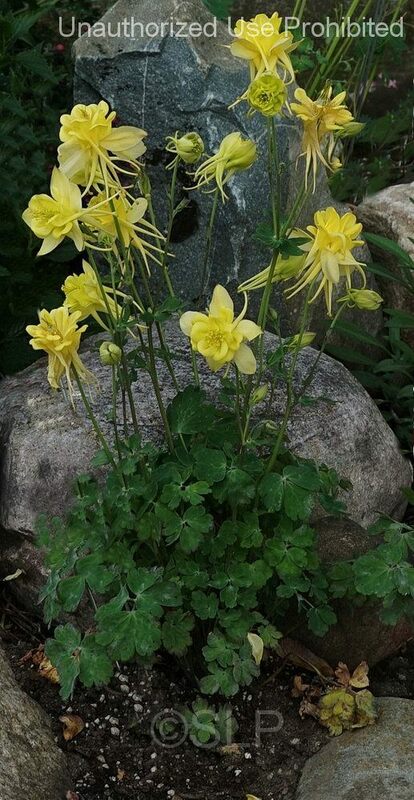 The spurs of the columbine "Sunshine" sometimes looks like spider legs. 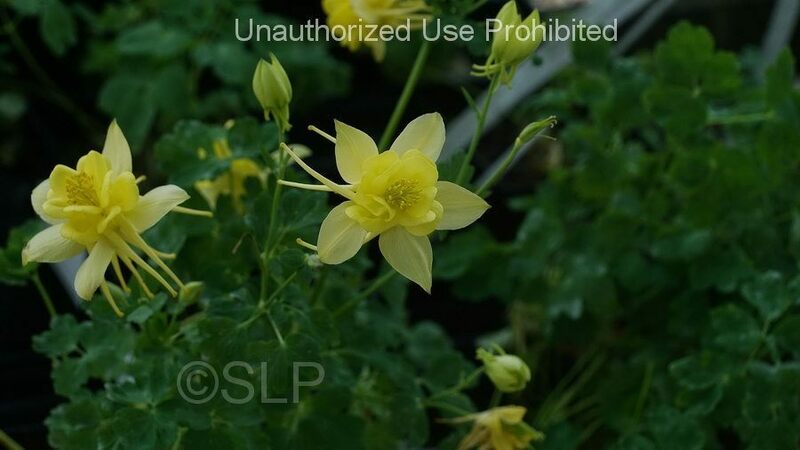 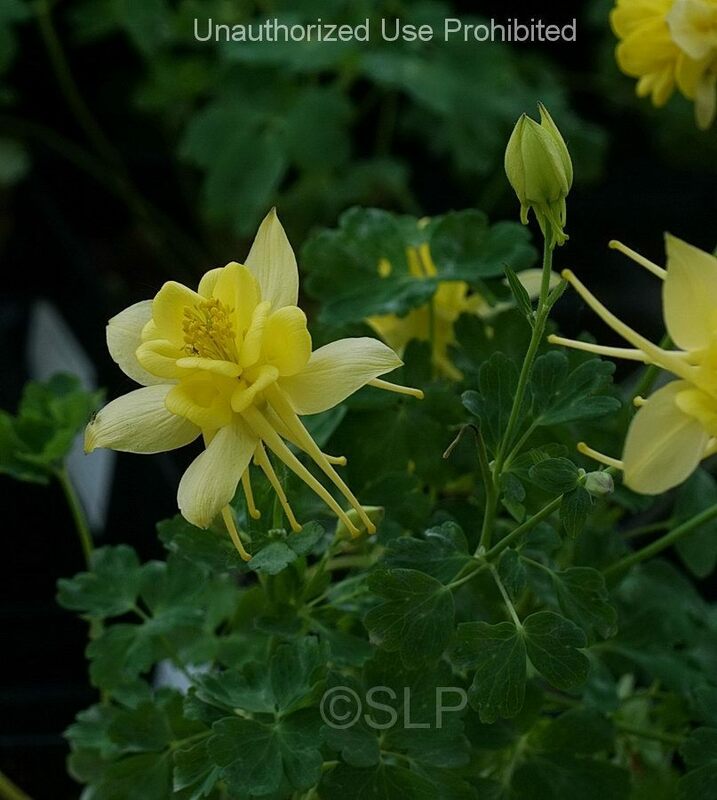 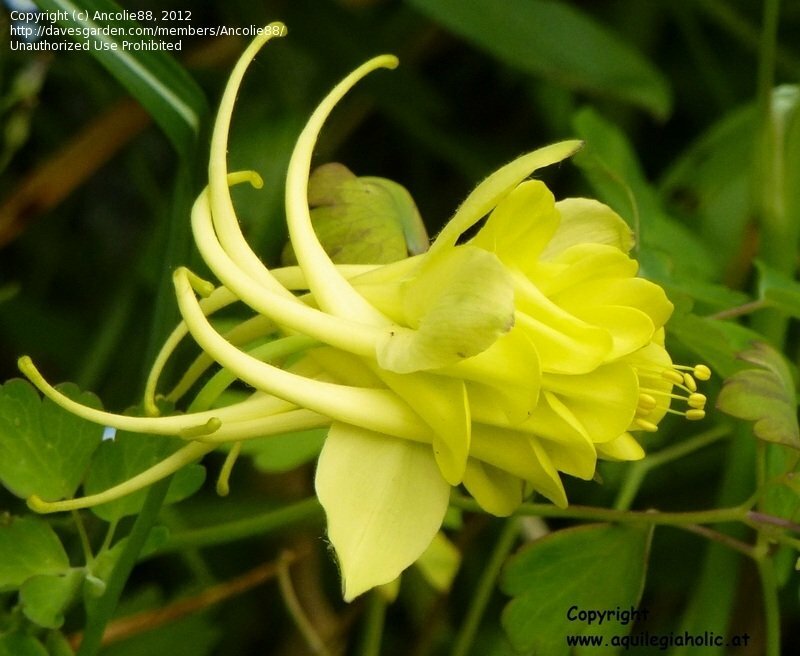 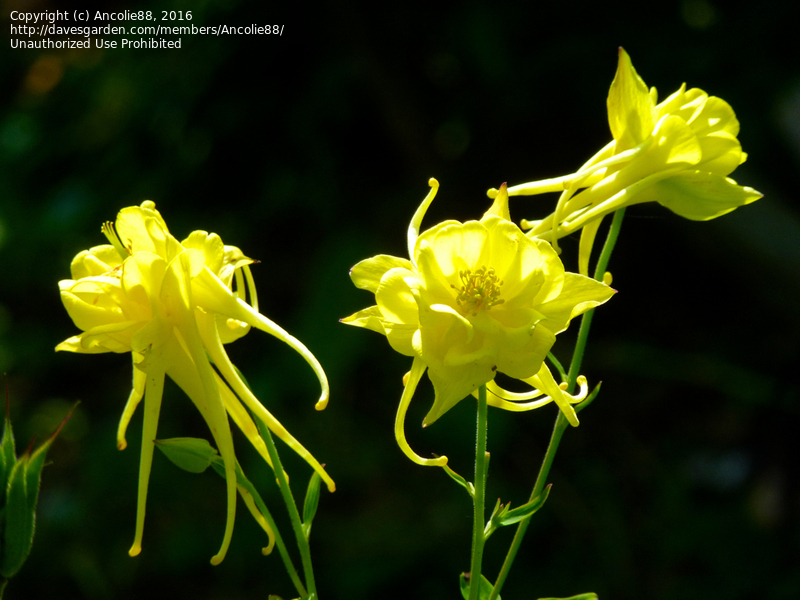 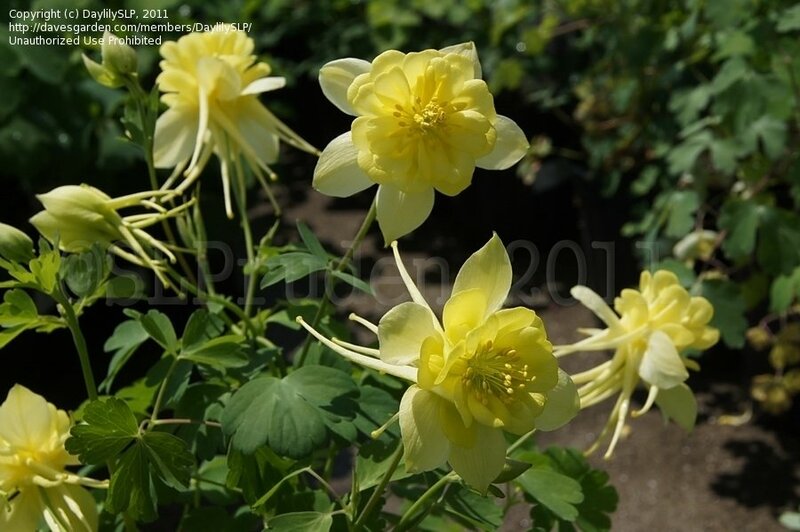 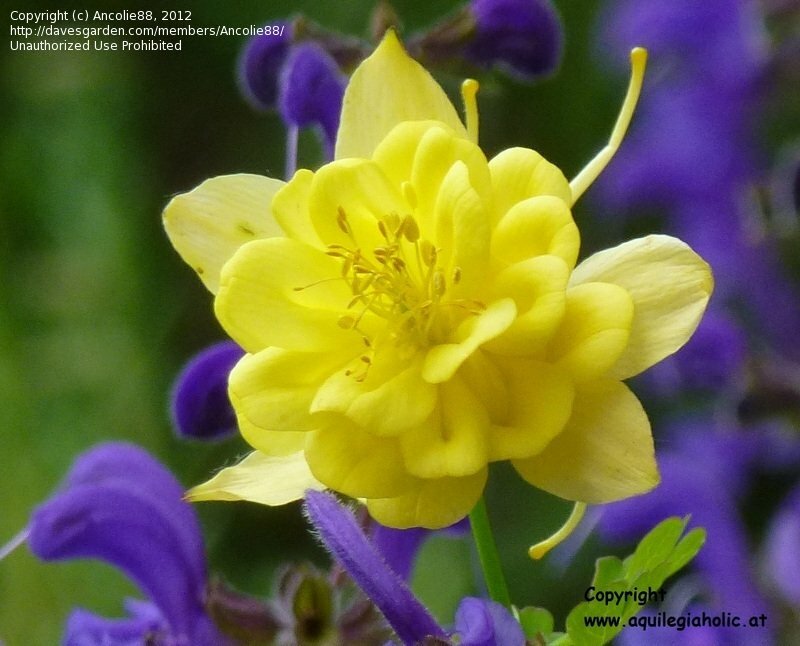 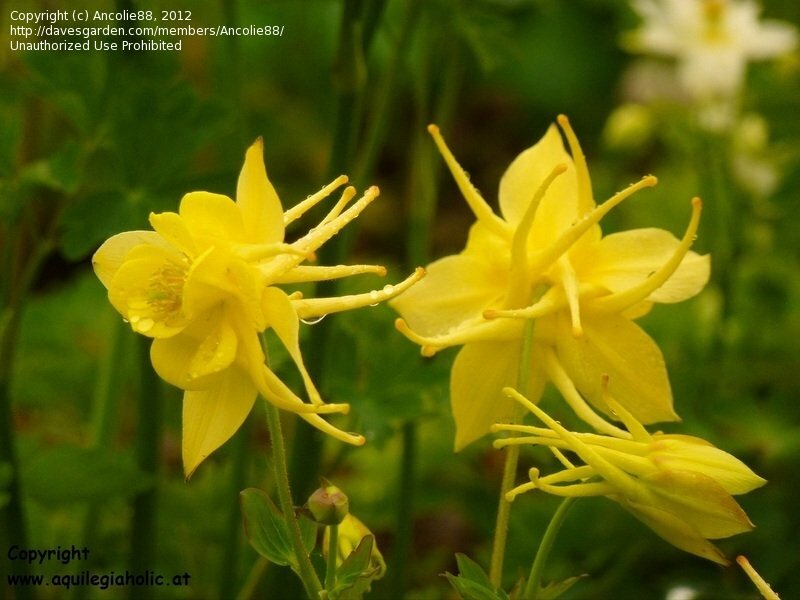 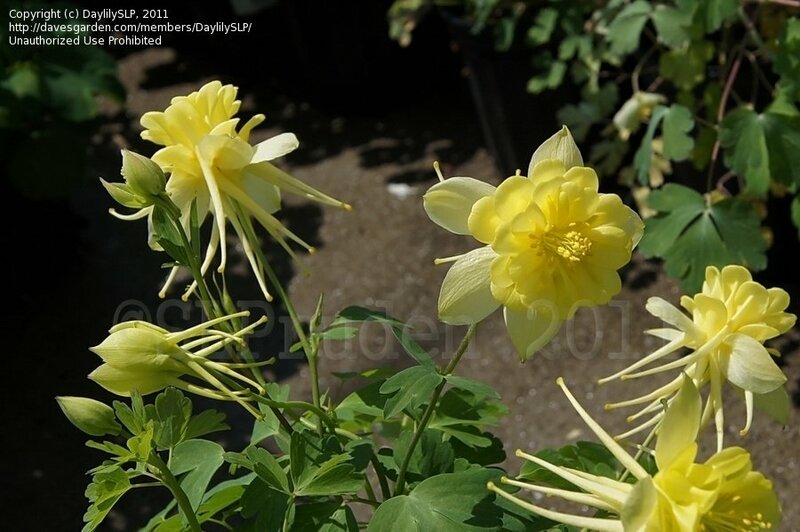 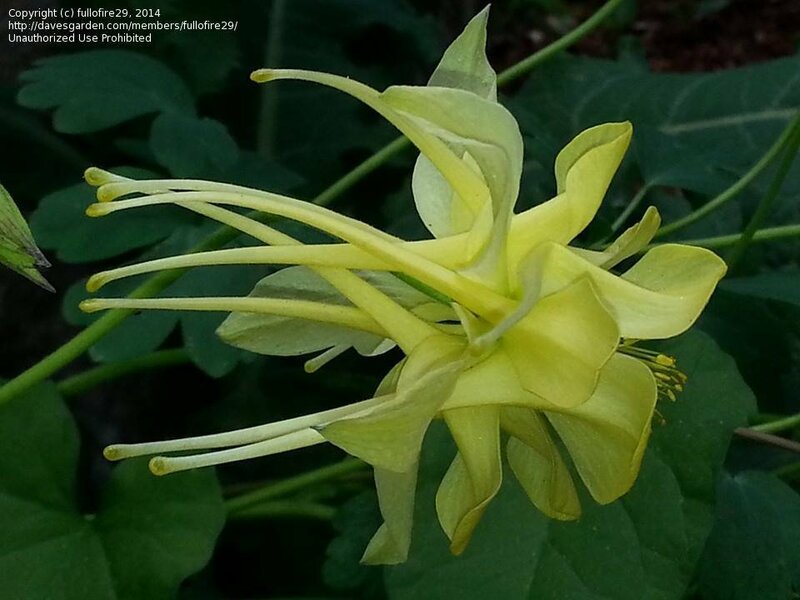 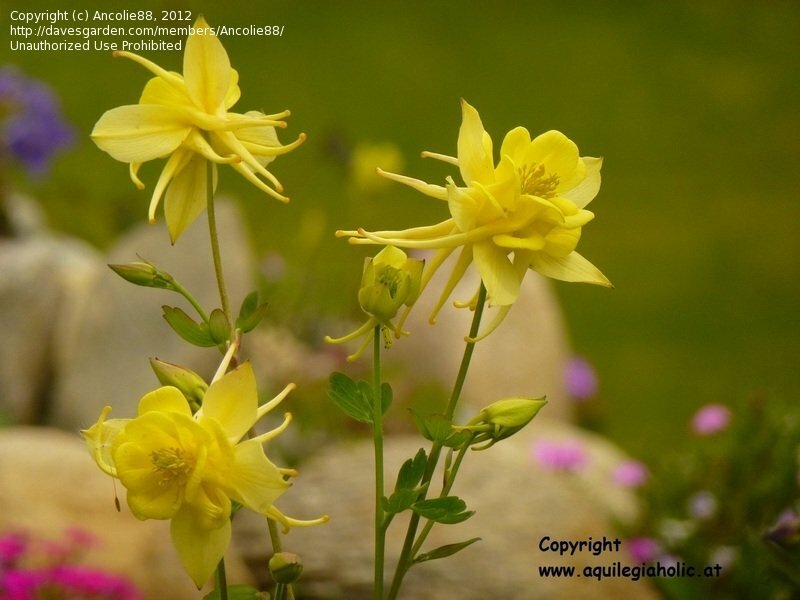 Aquilegia "Sunshine" is one of the rare yellow blooming columbines, with double flowers. 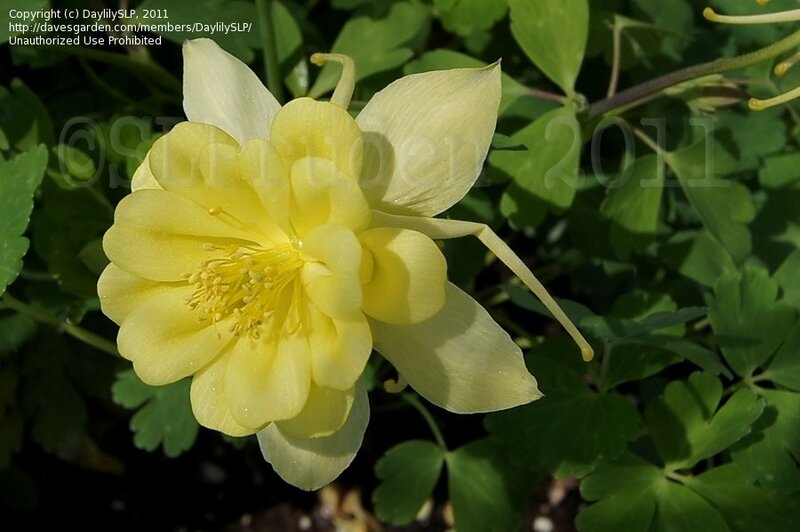 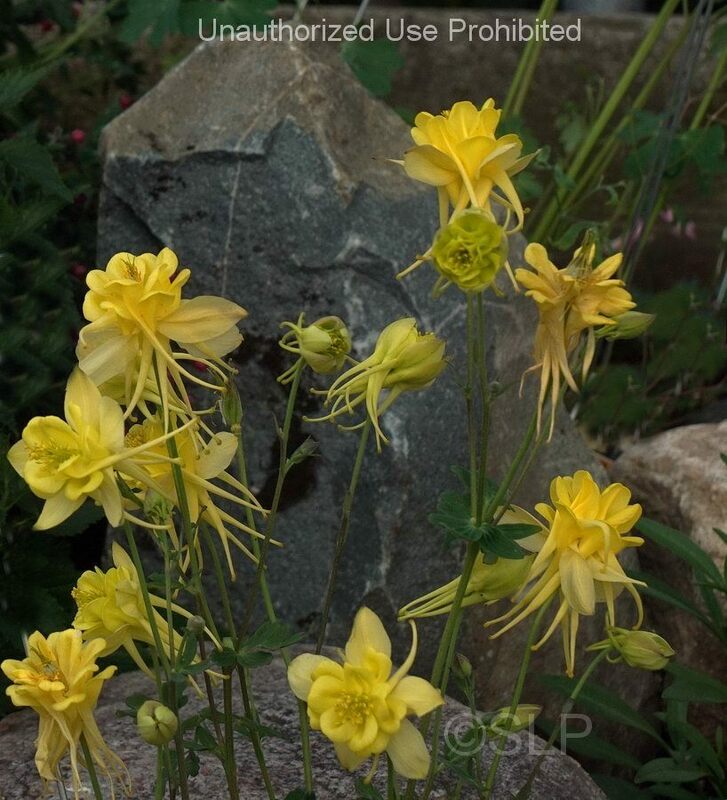 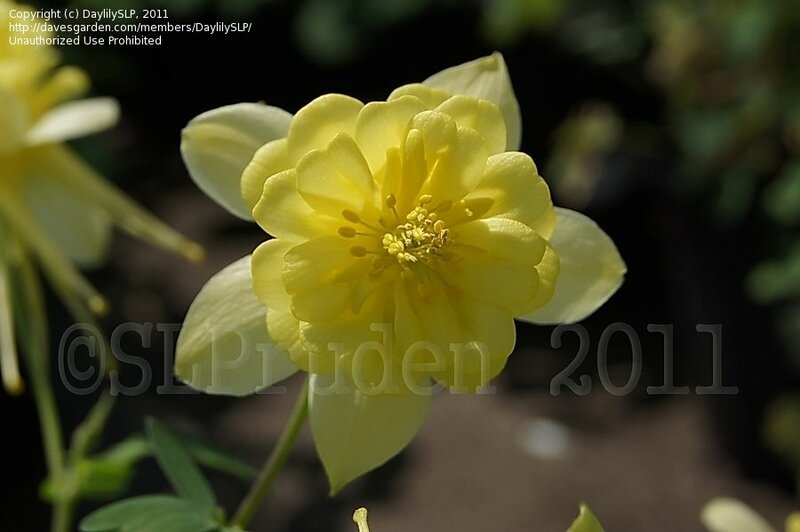 Aquilegia "Sunshine" is a very unusual looking columbine.